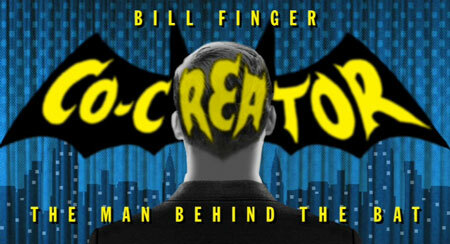 The guys discuss the recent Batman & Bill documentary. Ryan get’s a failing grade on Dark Days: The Casting, throwing him out of a loop. While Allen soaks up the Synder rays. Suicide Squad is back from a paid vacation and starts strong. Plus Allen and Ryan debate the rankings this week. Thanks for listening! While we’ve talked before with Austin Tichenor and John Roberson about adapting comics to the stage, we’ve never talked about (or even thought about!) adapting the lives of comics creators to that stage! But Lenny Schwartz has done it, and more than once, writing and directing “Co-Creator” (about Bill Finger and his claim to the Batman legacy) and “The Man Who Saw Snoopy” (about Charles Schulz, of course!). And he has another in the works on Spider-Man co-creator Steve Ditko. This week Lenny tells Tim about writing these plays, just how much credit Bob Kane and Stan Lee may actually deserve, how Schulz used Peanuts as his diary, and much more. Comics in the Golden Age Podcast Episode 29: The Night of the Batman! Mike and Chris peruse early Detective Comics! Comic News Insider Episode 642 – Seeking Nick Furry! Comic News Insider: Episode 642 is now available for free download! Click on the link or get it through iTunes! Sponsored by Dynamic Forces. Jimmy welcomes back Emily Edwards in the rotating co-host chair. They chat about nerd wins at The Emmys and hope someone will cosplay Nick Furry (not a typo) at NYCC. News includes: Bill Finger will finally get credit for his contributions to Batman, Friday is National Comic Book Day, DC’s Omega Men is saved from cancellation (kind of), female creators sweep the Ignatz Awards at SPX, Ta-Nehisi Coates and Brian Stelfreeze are the new creative team behind upcoming Black Panther series and more! Leave your iTunes comments! 5 stars and nothing but love! Also, get a hold of us! Comics in the Golden Age Podcast Episode 15: A Greenish Glow, in the Golden Age! Episode 15: A Greenish Glow, in the Golden Age! Mike and Chris discuss the Golden Age Green Lantern from All-American Comics issues 16 and 26! In two weeks, 1939 World’s Fair Comics #1!